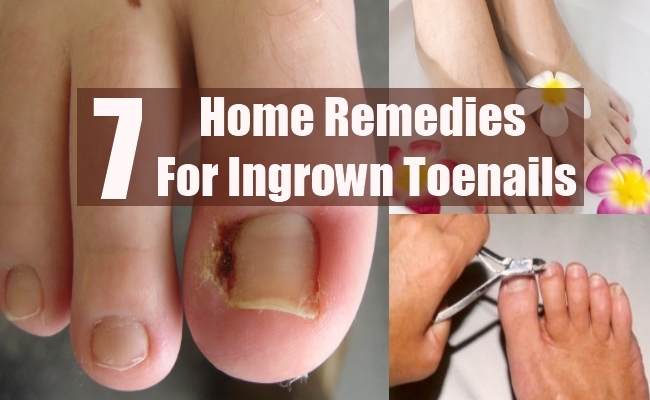 [toc]It is quite easy and mostly painless to treat ingrown toenails. However, the downside is that a lot of complications will develop if a nail infection is not treated promptly. People will feel considerable discomfort and pain when the sharp edge of a grown toenail starts growing inside or within the skin, with folds at the edge. 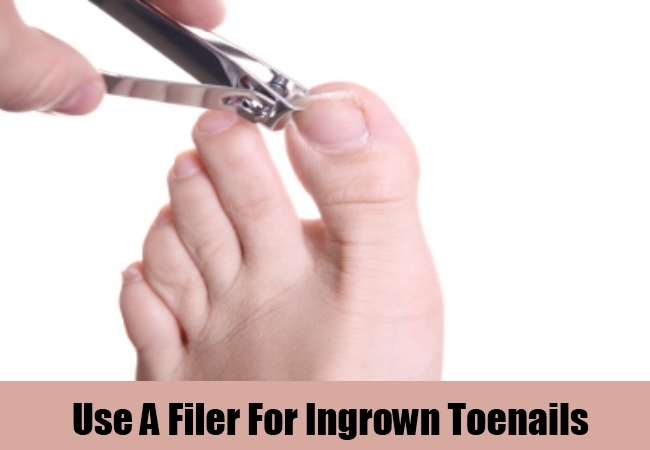 Soaking an ingrown toenail is highly beneficial. 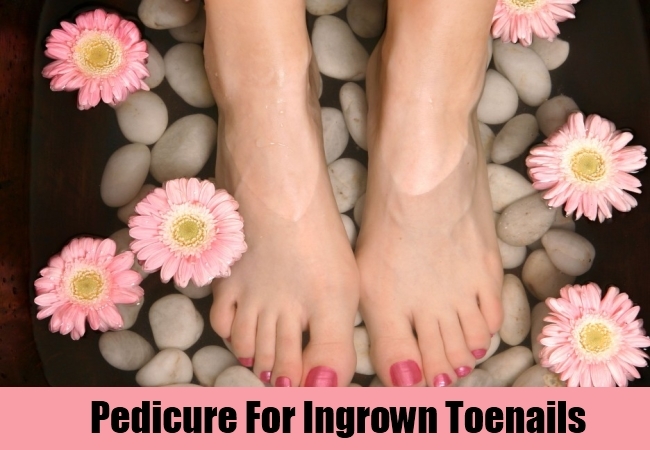 The healing process can be speeded up and the pain and discomfort associated with the agitated ingrown nail of the toe can be relieved by soaking it. Pain can be reduced and swelling can also be controlled with swelling. Moreover, the beginning of any infection can be drawn out by soaking the toenail in different ways. The water should be warmed to a temperature that is feasible and people can easily insert their feet. For about twenty minutes, the foot should be soaked and the side of the toe should also be massaged. Use a clean towel for drying the foot and repeat this soaking process a couple of times daily. The toenail can be softened when the foot is soaked. The nail should be trimmed straight angle, in case the nail has grown long enough to be clipped. When the nail begins to grow in the wrong direction and eventually cuts into the flesh and skin, it is referred to as an ingrown nail. However, the growth of a toenail can be controlled. Use a foot soak for softening the toenail and then use a piece of cotton for placing it between the edge of the nail that’s growing into the skin and the skin itself. The toenail will straighten out eventually if this is done regularly and the nails will start growing in the correct direction. However, be wary that you do not injure the nail more in the process. The corners of each toenail can be made smooth via a filer post cutting. 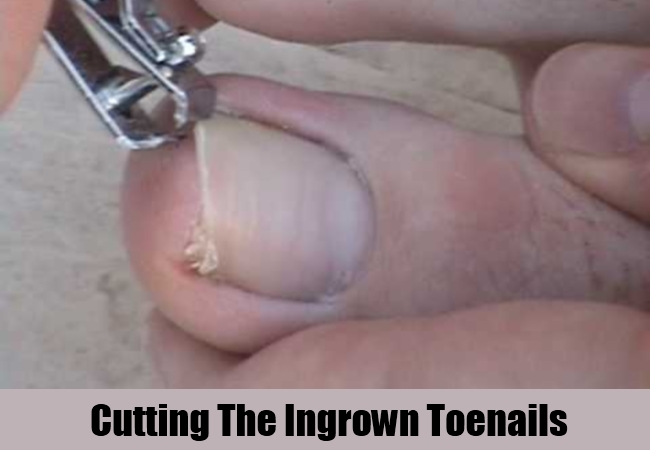 The edges of the ingrown toenails that are sharp and painful because they might slash the skin can be smoothed a bit. The feet have to handle the pressure of the body weight when people are standing. The skin in front of the toenail is pushed up because of this pressure. The nail may cut into the skin when it starts growing if it’s cut too short. The nail has to be flushed with the front end of the toe so it should be trimmed properly. Cutting the toenails straight angleds is another way for dealing with this problem. A slightly curved shape is given to each toenail by people for purely cosmetic reasons. 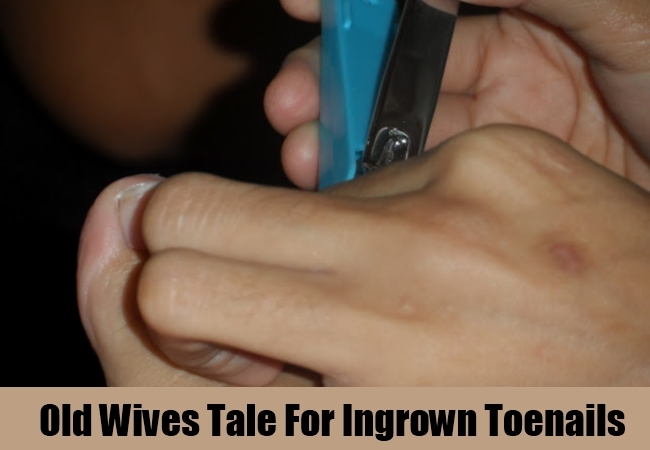 Even though it looks, the ingrown toenails will not be benefited by it. Cutting each of the toenails straight across is the proper solution. Also, quality toenails clippers should be used for this purpose because it won’t rip the same. The length is also important because the nails should be in line along the tips and avoid cutting them too short, which may lead to infections. According to an old wives’ tale, pressure can be relieved by cutting a V in the center of the nail. However, it doesn’t make much sense because nails grow from the toe’s base. There isn’t any evidence, but people claim that rubbing coal oil can stop ingrown toenails. Wearing too-tight footwear with toenails that have ingrowth will cause extreme pain because the nails will be pressing harder into the skin. Therefore, it is highly advisable that individuals with such toenails or ingrown nails give the feet some room to breath. 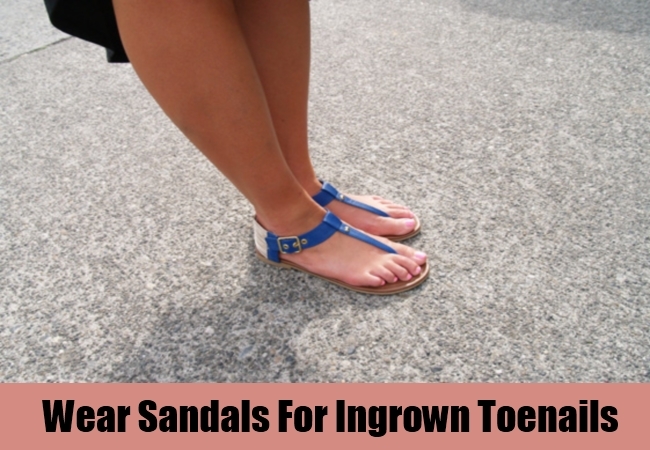 Try wearing sandals or flip flops as these let your toenails breath and gives them enough room. With ingrown toenails, try to avoid socks or even similar foot coverings. Open-toed sandals should be worn if the weather permits as this will give the infected toe some breathing room. Open air speeds up the healing process and is also soothing. It also means that you are not constraining or restricting the skin from breathing and thus not forcing the nail to grow inwards.